CATVids is a comprehensive video organizer database to help you catalog and manage your video collection, which will help you catalog a video collection of any kind, from DVDs to Blu-Ray discs to VHS tapes. Quickly catalog your collection by downloading data from the internet. CATVids will keep track of not only your pre-recorded material such a movies and tv-series, but also home videos and anything else you have recorded. * Custom data fields, a loan module, flexible searching, a report designer, more than 100 pre-defined report formats, a HTML generator, pop-up menus for quick feature access and navigation, and comprehensive context-sensitive on-line documentation available at the touch of a button. * Catalog all media types, including Blu-ray discs, DVDs, VHS tapes, and Laserdiscs. 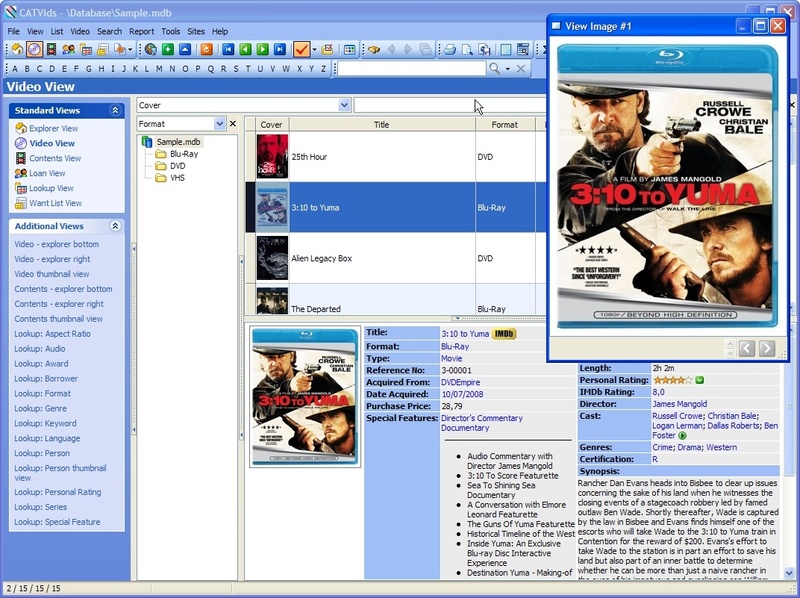 * Save time: Download movie data from the Internet. Register most information, such as director, media format and studio, only once. * Store information about an unlimited number of videos, as well as the individual segments on each video. Manage single- and multiple-recording media as well as pre-recorded media. Qweas is providing links to CATVids 9.10.01 as a courtesy, and makes no representations regarding CATVids or any other applications or any information related thereto. Any questions, complaints or claims regarding this application CATVids 9.10.01 must be directed to the appropriate software vendor. You may click the publisher link of CATVids on the top of this page to get more details about the vendor.